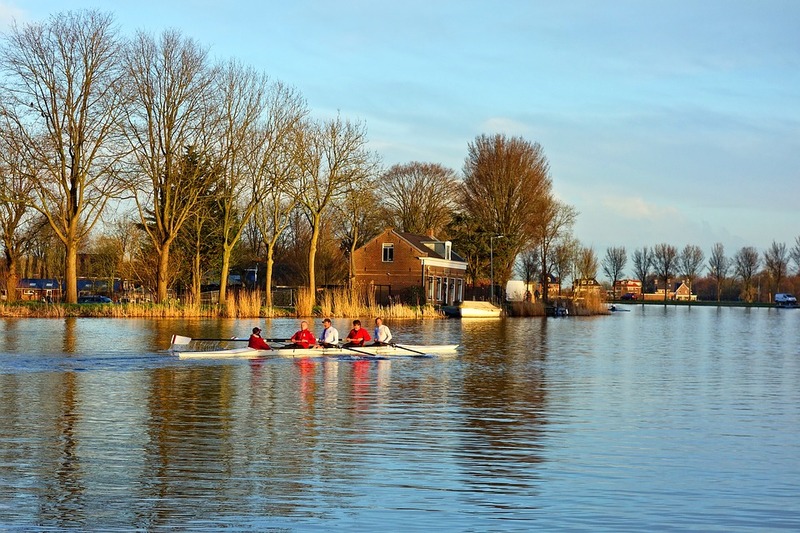 Want to try a new sport this Autumn? Autumn is a great time of year to try a new sport. It doesn't have to be a "competitive sport" per se. 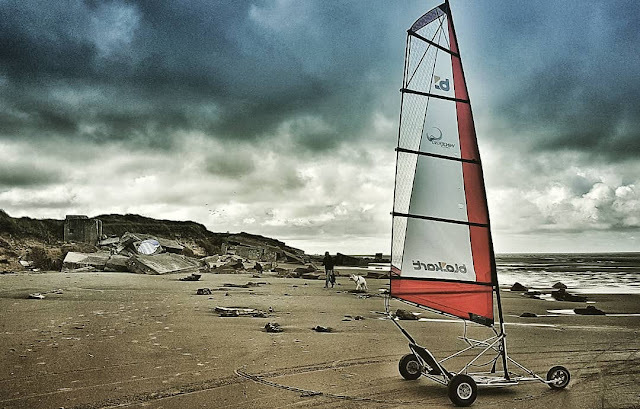 It is possible to do a sport just for the fun of it. And Autumn is a great time of year to be trying these new sports. 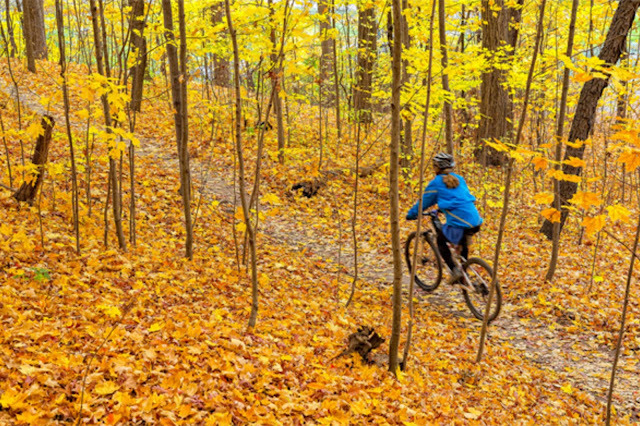 There are a number of benefits to trying a new sport in the Autumn. #1. The weather. Not too hot, not too cold. And unlike Spring, not too rainy. #2. Less crowds in public parks and national parks. #3. The scenery. Is there any more beautiful time of year to go outside and enjoy the wonder of nature? You don't need a mountain to do it. You also don't need a fancy mountain bike either. A hybrid bicycle will get the job done. And the scenery you see will take your breath away, even in the bicycle trails of Toronto. Below is 3 real photos taken on Toronto bicycle trails. 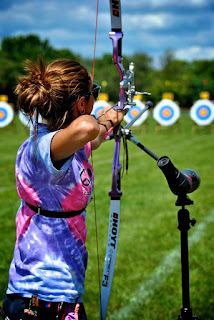 Am I biased because I happen to teach archery lessons? Yes. 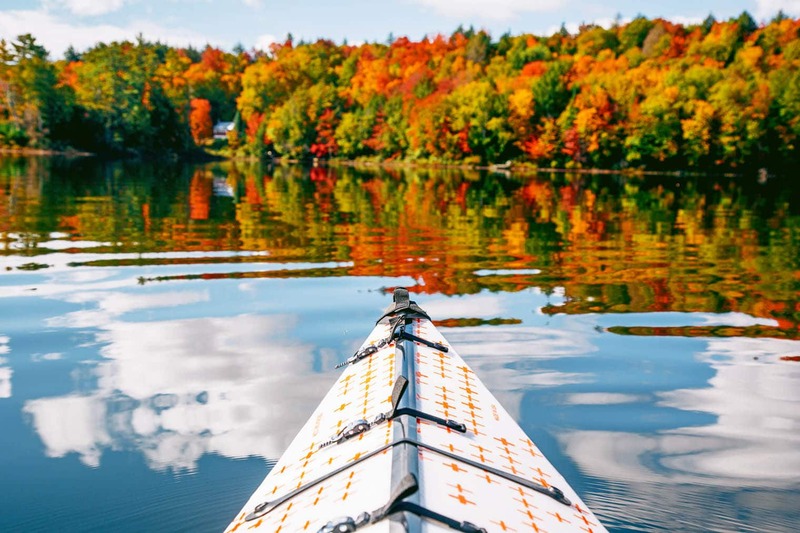 Is Autumn my favourite time of year to do the sport? Also yes. Seriously. The weather is wonderful. The scenery is amazing and if you get lucky you will even see some deer and other wildlife at the Toronto Archery Range. 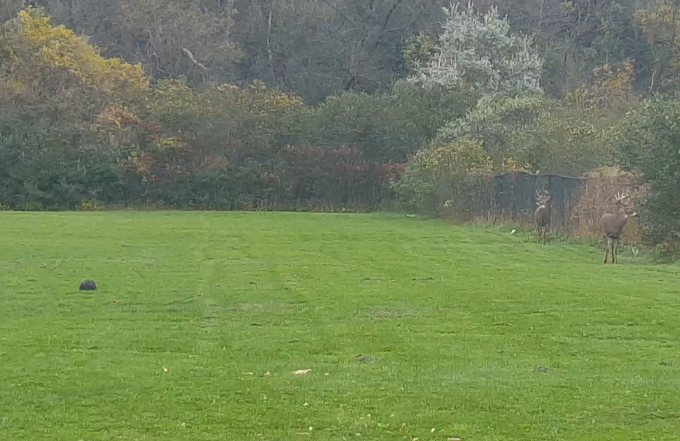 Update, October 11th - Student and myself saw two whitetail stags today who wandered into the archery field and to the south of the target butts. It is currently the pre-rut. In a few weeks these stags will be fighting over the doe we've seeing lately. The photo below is a screen capture from a video I made of the two stags. But yes, Autumn is truly a special time of year to be doing archery. There is a reason why bowhunters most often hunt during the Autumn. Soccer, field hockey, road hockey, lacrosse, baseball, etc. Pick one. 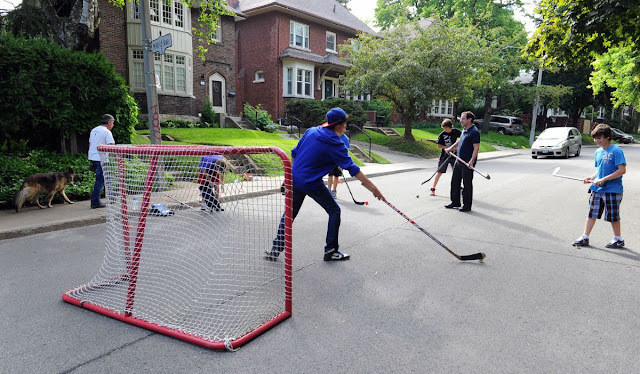 For the purposes of choosing a photograph, I am going to go with road hockey because it is pretty popular in Toronto and thus easy for people to find others who are also interested in road hockey. Someone should turn nature hikes into a competitive sport. Oh wait, someone already has. It is called Fell Running and it even has its own marathon, known as the Barkley Marathon, and is a 100 mile hike that must be completed in less than 60 hours. 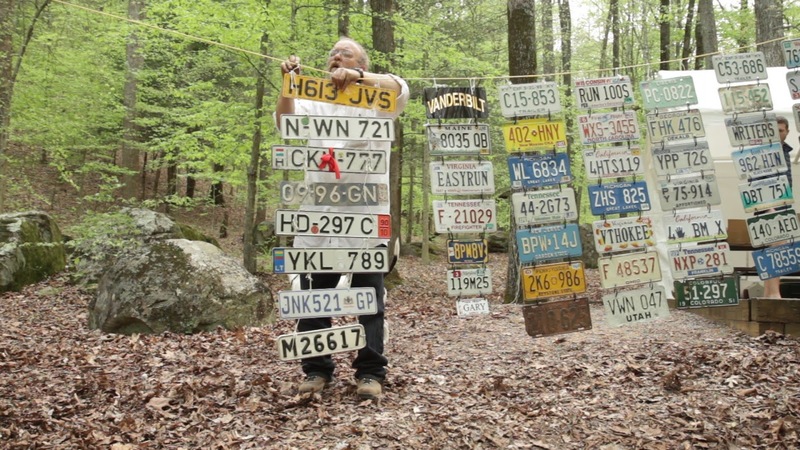 The competitors have 2 and a half days to do a 100 mile hike over difficult terrain. Not for the faint hearted either. 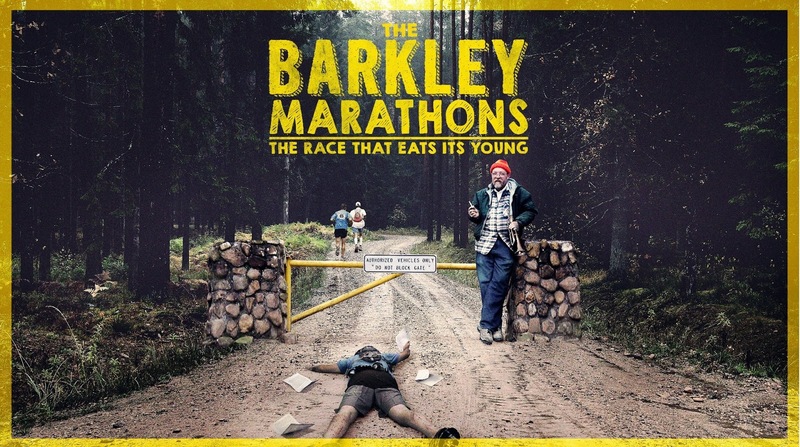 People have been known to die during the Barkley. 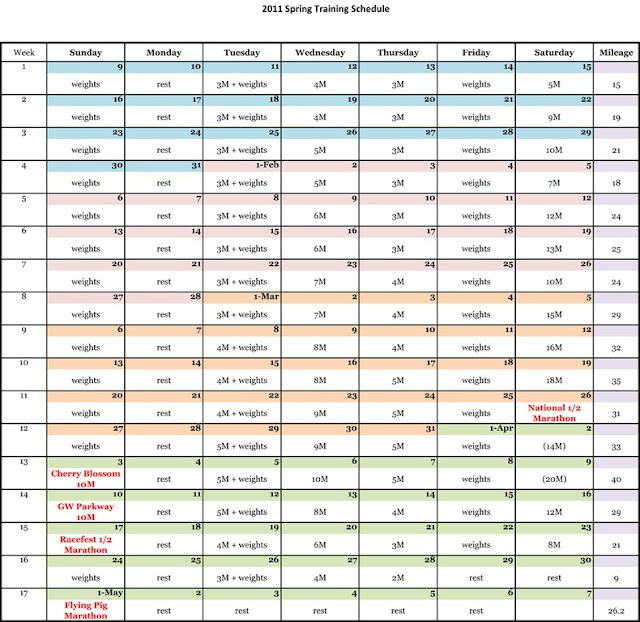 It is a cold wet affair done in late March / early April, but the athletes who compete in it train all year long. So Autumn is a good time to train. 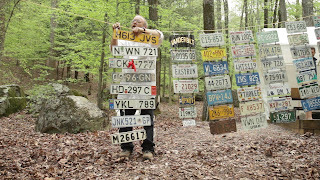 But if you would rather have fun doing this activity, maybe stick to bringing your camera along and enjoying the scenery. 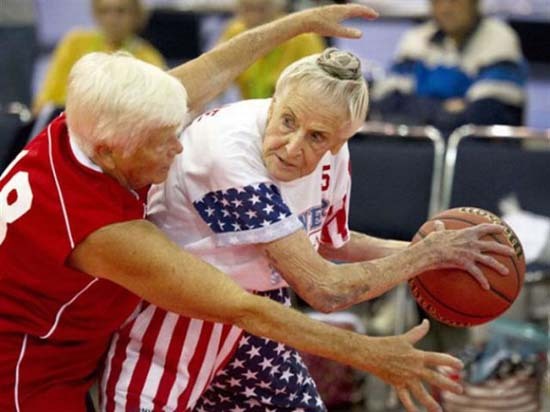 There is no need to make it a competitive sport. Yes, that is a real thing. See the photo below. A bit expensive to get into, but certainly a fun way to spend your Autumn. Or Spring. Or Summer. Stick skis on it instead of wheels, and you could do it in the winter too. I wrote a post awhile back about horseback archery where to get horse riding lessons in/near Toronto. If you skip the archery stuff, just read the section about where to get horse riding lessons in/near Toronto and that will help you on your journey to finally taking up horsemanship as a skill. 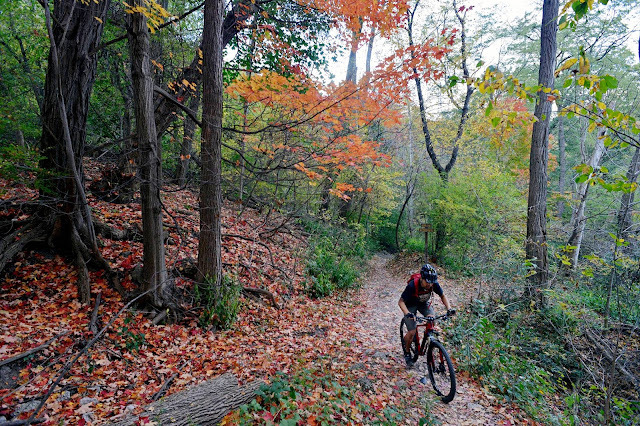 Scratch that off your bucket list during the Autumn and you will get some great Autumn trail rides in the process. Or better yet, learn how to ride a horse AND do archery, and then you will be able to do both at the same time! The Niagara Escarpment in Ontario has various caves, caverns, crevices and chasms that a person can explore. True, you can explore caves any time of the year, but the crevices that dot the landscape along the Niagara Escarpment are best explored during the Autumn because you typically have to hike quite a bit just to get to the crevices. Summer? Too many mosquitoes and too hot. Winter? Too cold and slippery. Potentially dangerous too. 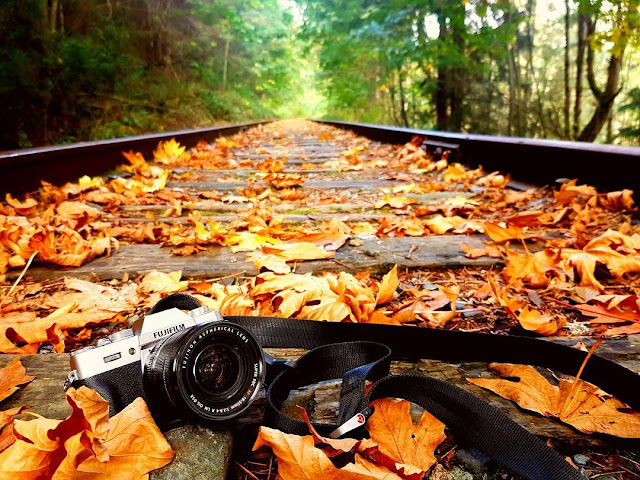 But Autumn is a great time of year to explore as the weather is perfect for it. Take a friend with you who likes to do photography and you will have a fun time. 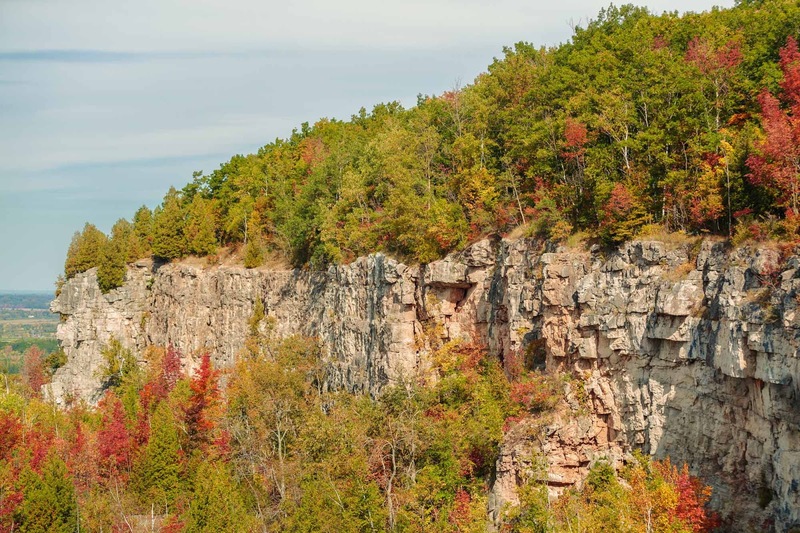 If caves and crevices are not your thing, the Niagara Escarpment is also home to many waterfalls. Like Inglis Falls or Hilton Falls. 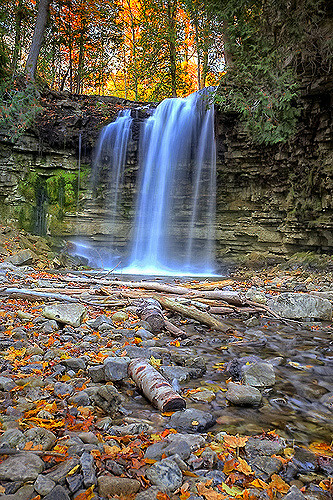 The photo below is of Hilton Falls, near Milton Ontario. Earlier today I got an email (spam???) from a company trying to sell steroid pills / etc. Good day! This is Vera from NAME OF COMPANY REMOVED, which has engaged in R&D, production and marketing steroid powders, HGH, peptides and Sarms for more than 10 years, our products are exported well into U.S. , Canada, Brazil, UK, Germany, Poland, Greece, Italy, Australia and many other areas. Our company gains high reputation among our old and new clients through the highest quality, best price, fast and safe delivery as well as the excellent customer service, many of them are famous labs. If you have interests, small trial order for first cooperation to test our quality and shipping efficiency is welcomed. I'll try my best to satisfy you on your request. Looking forward to your kind reply. Getting this email disgusted me. It is bad enough when professional athletes are induced into taking steroids because they really want to win and they manage to find someone willing to sell them a steroid or illicit drug that will allow them to cheat. But it is even worse to be trying to sell this crap to a personal trainer / sports coach, who would then effectively become drug dealers trying to sell the drugs to their clients / athletes. That to me is much worse, as it tarnishes the sacred role of a teacher (which is what I consider myself to be) and turns the teacher into a drug dealer who can effect multiple students / clients. So not just one person is effected in such a scenario, but multiple people. No reputable person should be dealing in steroids. Not an athlete. Not a coach. Not an instructor. Not a personal trainer. Not a doctor. Not a nutritionist. Nobody. Anyone who is encouraging cheating / drugging yourself to bulk up should be ashamed of themselves, and when caught banished from the industry. Vitamins, minerals, calcium supplements, whey protein powders, creatine - these I don't have a problem with because they are all natural things we get in our diets, they are just being used as supplements to make certain the athlete is getting enough of what they need. Whey protein is just a protein found in milk, which is separated during the process of making cheese, and is sold in powder form so people can take mix with water / milk for a protein drink. Creatine is just a chemical found in red meat that regulates energy to muscle tissue, and thus is handy for losing weight / building muscle. As such they are used by people who know they aren't eating enough red meat or not enough protein, so that they can maximize their body's natural ability to regulate energy / build new muscle tissue. All sorts of bad side effects. 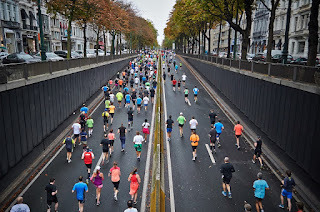 Decades of research into the topic has revealed while steroids do give a temporary advantage to athletes, they cause long term permanent side effects which I am not going to bother listing as there are so many of them. The most notable and common side effect is liver damage leading to terminal liver cancer, as steroids are also toxins and the liver will try to filter the toxins out - but doing so puts so much stress on the organ that it effectively kills the person's liver. HGH is technically a natural hormone, human growth hormone, but humans usually only have large amounts of it when they are children or pregnant. Adults taking HGH pills is effectively unnatural and allows the person to build muscle at a faster than normal rate. It is heavily regulated too, and numerous celebrities and athletes have been arrested trying to smuggle HGH across international borders. So if it has to be smuggled into Canada by criminals, then it is definitely not something I am interested in. SARMs, are various chemicals categorized as selective androgen receptor modulator are a type of androgenic drugs. They can be used legitimately for people who suffer from low testosterone, but for people who do not they are used to increase testosterone production. Various athletes in the NFL and NBA have been banned due to alleged use of SARMs. Peptides are short chains of amino acids connected by peptide bonds, hence the name. They block and/or control sugar, and thus they can be used as anti-obesity medication, but are also used in the bodybuilding industry to increase energy levels to muscle tissue. Taking in combination with steroids, they give a person an unnatural edge over the competition. Some peptides can also effect the body's HGH production levels, can be used to increase testosterone levels, etc. 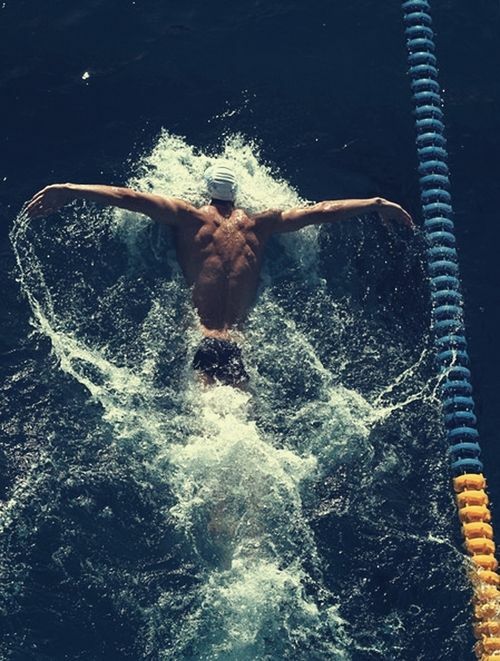 As such an athlete who tests positive for certain peptides used to effect HGH, testosterone, and anything else that gives them a competitive edge is considered to have cheated. 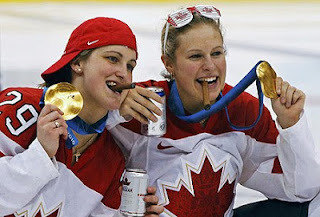 Honestly... are people so obsessed with winning that they have to damage their liver and ruin the reputations just for a shiny trophy or gold medal to hang on a mantle? 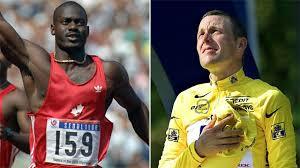 Ben Johnson, Lance Armstrong, Marion Jones, etc. Thankfully there are some sports where doping doesn't really help. Figure skating for example is more about finesse than bulk muscle. Tonya Harding already had the physique of an amazon that gave her a physical edge to perform triple axels - making her the first woman to complete a triple axel in a competition. But her fear of losing resulted in her conspiring with several men to put out a hit on rival Nancy Kerrigan's leg. So there are always more ways than one to cheat in sports, but when you consider that Tonya Harding was banned from figure skating and later took up a brief career in boxing because of her financial problems. And selling the drugs to do so clearly means that a sports trainer is in it for the money, not because they actually enjoy teaching and guiding athletes. Speaking for myself, I enjoy what I teach. 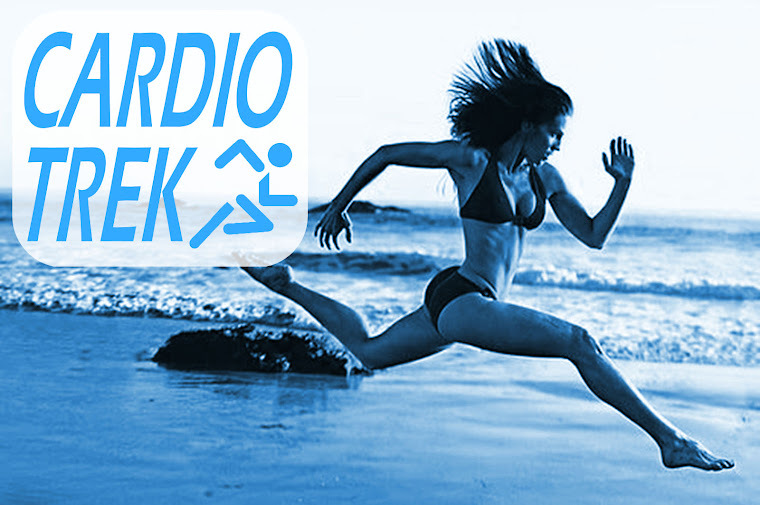 It allows me to go outside and exercise regularly, and to get paid to do it. I cannot ask for anything better. So the archery competition that was supposed to be on June 23rd got rained out. And on the 24th (the rainday replacement day) it also rained plus thunderstorms. So that whole weekend was rescheduled for July. So the new date for the competition is Sunday July 29th 2018. Registration starts at 10:00 AM and cuts off at 11:00 AM no exceptions. 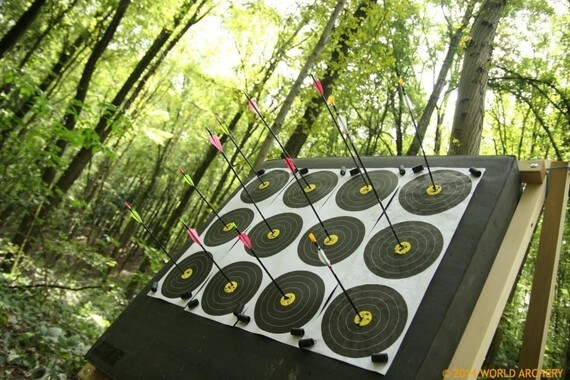 The Toronto Archery Range located at E. T. Seton Park. Free admission to enter. Prizes. New Rain Date: Saturday, July 28th. 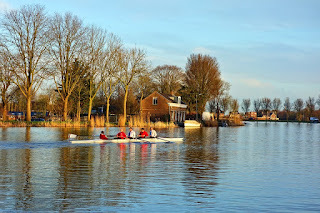 The people organizing the competition will decide on Friday whether the weather looks good for Sunday or not, and whether Saturday is the better option. For those people not competing come anyway for the Raffle, Potluck BBQ and general fun times. I will be judging / adjudicating this competition. Which mostly means I will be explaining rules to people, doing math, and checking to see if an arrow is touching a line or not. 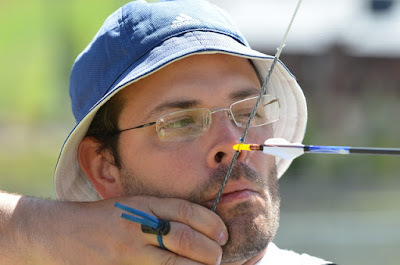 There are many ways to run an archery competition. For example the "300" method is for archers to shoot 30 arrows on targets with scoring 1 to 10 and get a score out of 300. Person with the highest score out of 300 wins. There is also variations of this that call for 600, 1000, etc - to say nothing of other methods of competing. However watching archers shoot 10 ends of 3 arrows per end is rather boring - or 3 ends of 10 arrows per end, whatever combination they decide to go with, still pretty boring. It is a simple way of conducting a competition, but it is admittedly pretty boring for spectators. Thus various archery competitions now use a system of "archery duels" in which two archers compete against one another in order to move up the rankings during the rounds and eventually make it to the final round. For example, the upcoming 2018 Seton Archery Competition on June 23rd (tomorrow, unless it rains) will be using the following rules. Update - Because of rain on both Saturday and Sunday, the competition was rescheduled for Sunday, July 29th. 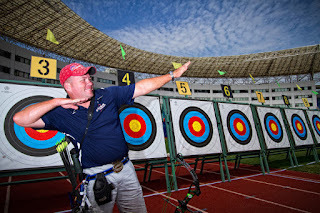 All the competitors (in their separate categories of Olympic recurve, compound and barebow) will do a ranking round where they are not competing against anyone per se, but are simply trying to get a good or decent score which will allow them to be ranked and sorted according to their scores. You cannot fail the Ranking Round. All it determines is who you will be facing first in the Elimination Rounds, as the highest scoring person will be facing the lowest scoring person. The second highest scoring person will face the second lowest scoring person, etc. Strategy - The better you score during the ranking round, the more likely you are to face an opponent who is not as good as you in the first elimination round. Your goal during the elimination rounds is to stay in the competition and not get knocked out via Double Elimination. You can lose one round and still be fine, but lose two rounds and you are out. During each round the competitors will take turns shooting 3 arrows per end, with a total of 3 ends. So 3 sets of 3 arrows, with scores out of 30 for each of the sets. The competitor who wins at least 2 of the 3 ends wins the Elimination Round and moves on to the next Elimination Round. The Elimination Rounds continue until there is only 4 competitors left at the top of the rankings. Archers should not touch any of the arrows until after the scoring has been recorded. Tampering with the arrows will result in a judge being called to see if the scoring has been effected by possible tampering. 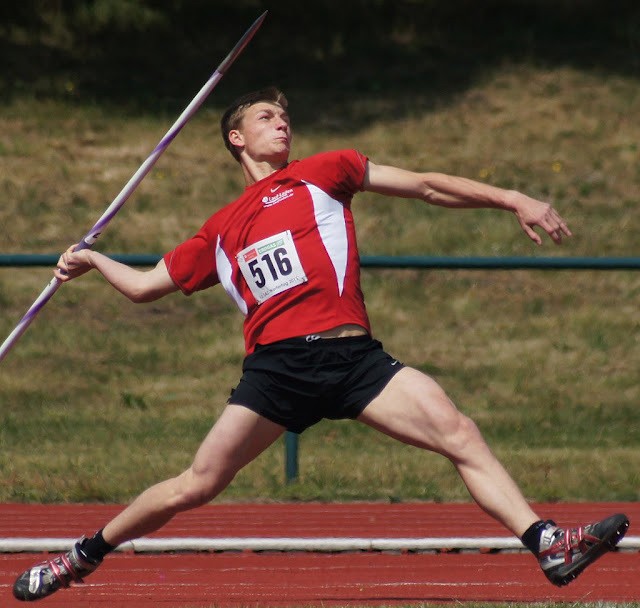 If a judge believes an arrow's position has been tampered with, they will score the arrow the lower amount of points in the records. If an arrow is on the bullseye it doesn't receive any extra points, but it should be marked X in the records. Furthermore, if the end was a tie, the competitor with the most bullseyes wins that end. Optional - Some competitions also have a rule that ties can be broken by whomever had the most arrows on the target. For example if one archer gets two 9s and a 0 (having missed 1 shot completely), and the other archer gets three 6s, they both have a score of 18. 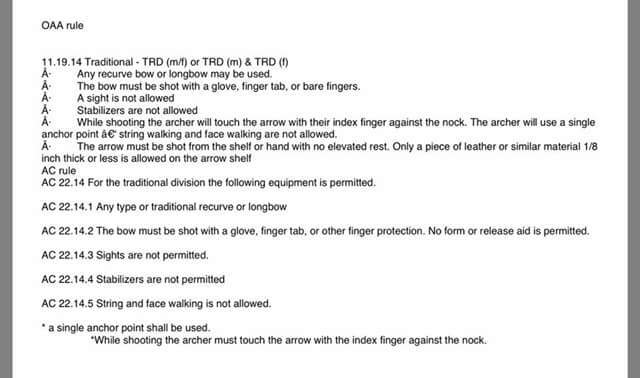 Under this rule, the archer with more of their arrows on the target wins the tie for that set. 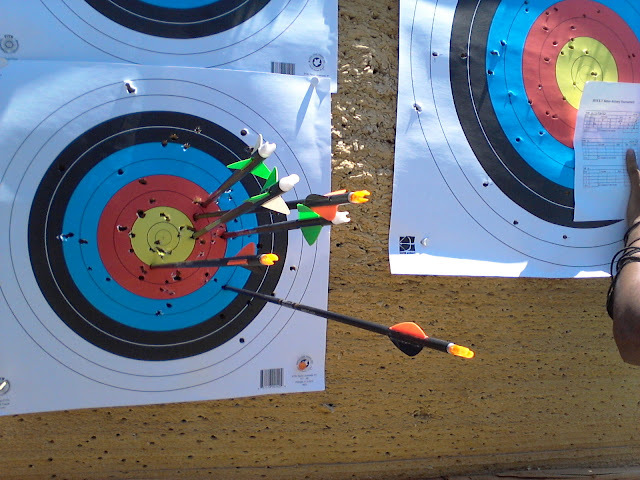 Since it is rare that someone manages to tie a round, but still missed the target that round, this rule is rarely used. After 3 ends, if there is somehow still a tie (eg. 1 person won the first round, the other person won the second round, and they tied the third round) then the two archers will do a Shoot Off wherein they each shoot 1 arrow, and the winner is whomever is closest to the bullseye. 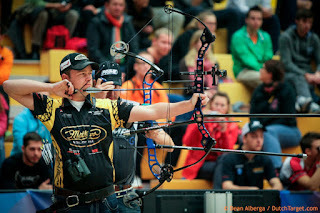 During the final rounds of the competition there is typically 3 rounds left to shoot. Losing the first round makes you a contender for 3rd place. Winning the first round makes you a contender for 1st or 2nd place. 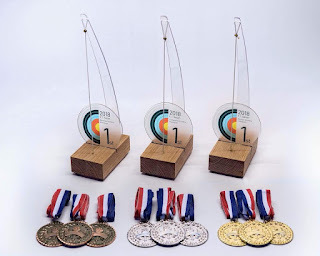 The other two competitors do the same, and thus you end up with two winners who go on to compete for 1st and 2nd, and the two remaining archers compete for 3rd and 4th. Typically this follows soon after the competition is complete, wherein trophies, medals, and awards are given out. Often followed by drinking and food. 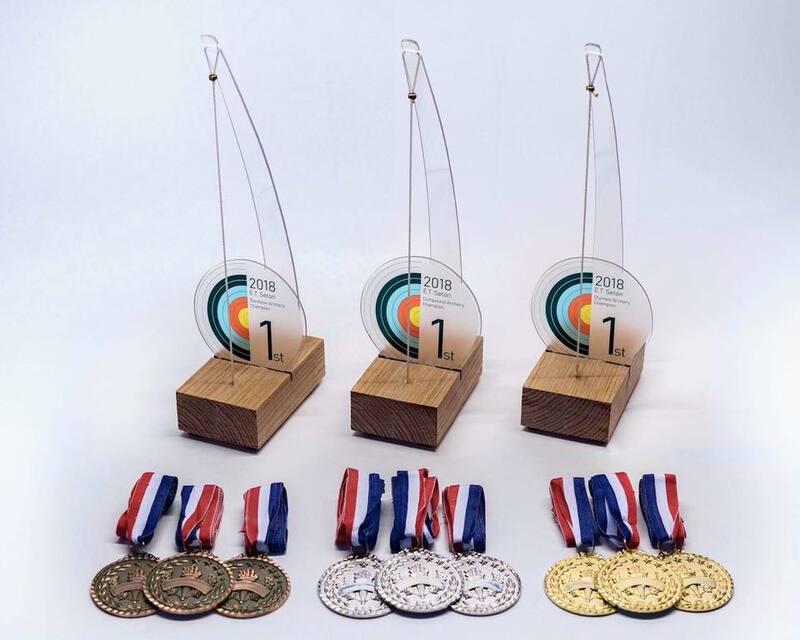 The trophies and medals shown below are for the 2018 Seton Archery Competition. Unless it rains tomorrow, I will have the honour of judging the competition tomorrow. So it will be my responsibility to make sure people are scoring properly, not tampering with arrows, adjudicating any disputes, etc. If it does rain, the competition will be held Sunday - in which case I will be spending Sunday with family for my son's birthday and someone else will have the honour of judging the competition. Oh well. Either way, I am bringing watermelon to at least 1 event this weekend. Update - Because of rain on both Saturday and Sunday, the competition was rescheduled for Sunday, July 29th. The watermelon was still tasty. Ate it at my son's birthday. What do Competitive Archers eat before a Competition? Guest Post by Robert Gate - February 2017. When preparing for a tournament each archery professional has a different way to train and to prepare for the contest. This extends to the meal they eat before the match to prepare their bodies for the strain ahead. 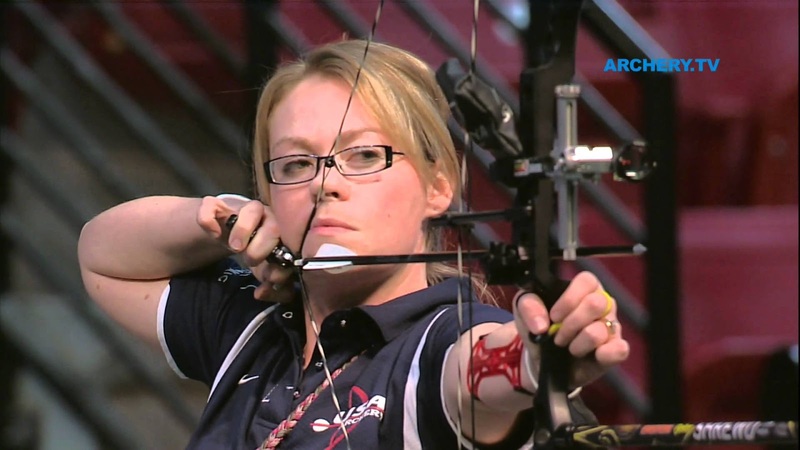 Each member of Team USA champion has a different way to use nutrition to feed their body and to calm their mind, and the following gives insight into the food groups and dining choices these archery athletes choose and why they choose them. To gain extra energy many athletes will consume sugar, salt and electrolytes moments before a competition. 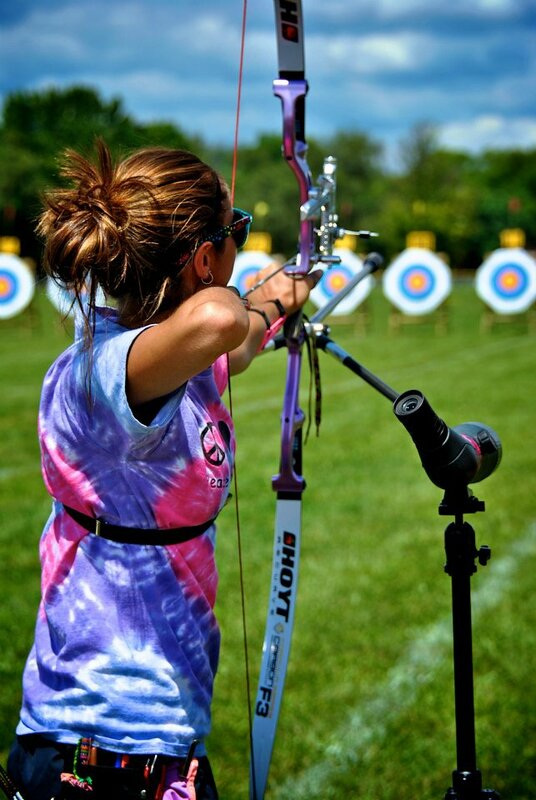 This isn't limited to archery, but is found across many sports. 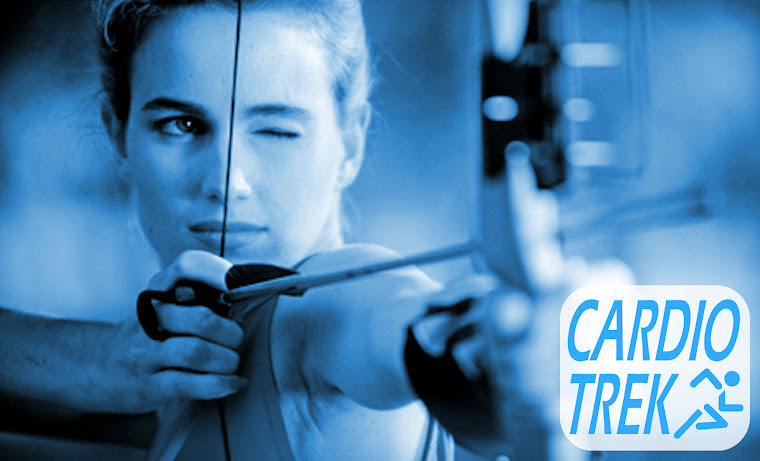 With archery what they eat can be tricky, as they don't want to consume anything that might make them jittery (like caffeine), which could spoil a shot by ruining their ability to remain calm and focused. Archers also want to stay well hydrated. 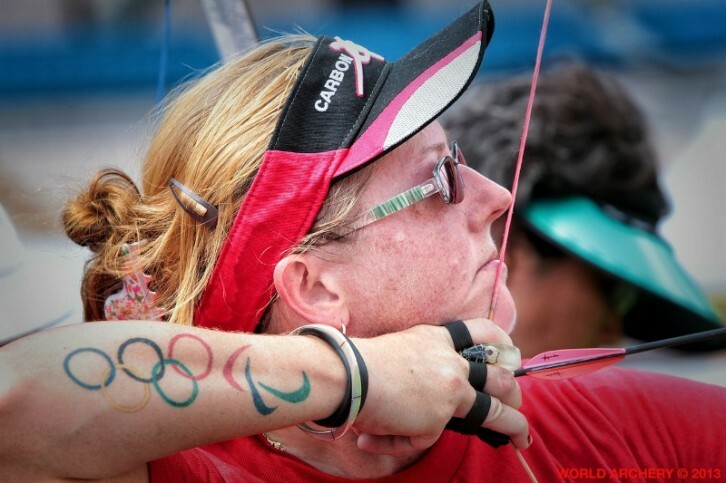 Dehydration (and over-hydration) can cause an archer to lose focus, become forgetful, and consequently ruin shots. Sarah Lance prefers to maintain a similar diet on a shooting day as she does on a normal average day. Making large changes in her diet alters her ability to be able to control her movement and to steady her aim. Most often she chooses the healthy option of fruit for breakfast, or sometimes the more filling option of cereal or a bagel. She likes to snack throughout the day to maintain her strength and stamina and to keep hydrated she drinks water, Gatorade and sips some soda. Braden Gellenthien likes to prepare for a tournament a week in advance. This includes making healthier food choices that will give his body the edge that it needs. During this period, he prepares all of his meals at home and grills his meat instead of frying it. This way his body is adjusted to his healthier life choices when the time comes for the archery contest. He makes sure all his nutrition is covered by including meats, fruits, and greens in his daily diet. The snacks are also natural, healthy and allow his body to feel light and agile. Erika Jones prefers to take a more casual approach to meals at a tournament and eats what she wishes. This can be a healthy option or give in to her cravings and bring a snack higher in sugar and salt content. Lee Ford-Faherty bases her diet on the components that will give her the most energy. 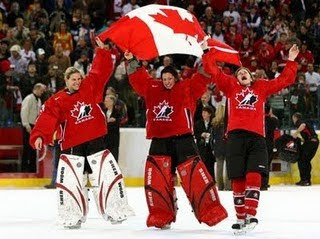 This includes a diet high in carbohydrates and protein which as an athlete she needs. She believes that it is possible to eat healthily wherever you are for the same cost as it would purchase a nutritionally deficient meal. She makes sure she gives her body the fuel it needs to perform and to give it the right balance of nutrients to maintain her endurance. She also gives her body a lot of fluid because it is quickly lost when standing in the heat of the sun. For this, she drinks Powerade Zero, which as well as hydrating her replaces vital electrolytes. Crystal Gauvin’s main focus is to drink a lot of water to keep herself hydrated over long periods of standing. Nuun tablets can be placed in the water to replace electrolytes sweated out while shooting and also provides a sweeter taste to the drink. It is healthier than other sports drink options and still provides the hydration and energy that an athlete needs. She brings her cool water to a tournament to ensure she has a constant supply and as much as she feels she needs. Ariel Gibilaro finds it difficult to keep to her usual eating routine when attending a tournament due to the traveling and the extended training involved. Long days at the tournament means most of her meals are snack sized and easy to carry. Chewy Bars and crackers can easily be carried with her and quickly eaten when she has a spare moment. One meal she tries to take regularly is her breakfast, which is a bagel spread with cream cheese or served with eggs for protein. To keep hydrated, she chooses water as the healthiest and most natural option. Christie Colin believes she deserves to have some fun after a hard day at a tournament. She likes to take her friends to The Olive Garden and restaurants and binge on carbohydrates. Mackenzie Brown brings pre-prepared snacks to tournaments with her, so she doesn’t have to worry while busy with the competition. These snacks on an international trip remind her of home and include the traditional American peanut butter and jelly sandwich. She treats herself before a ranking match to dinner at an Italian restaurant with pasta as the main course. 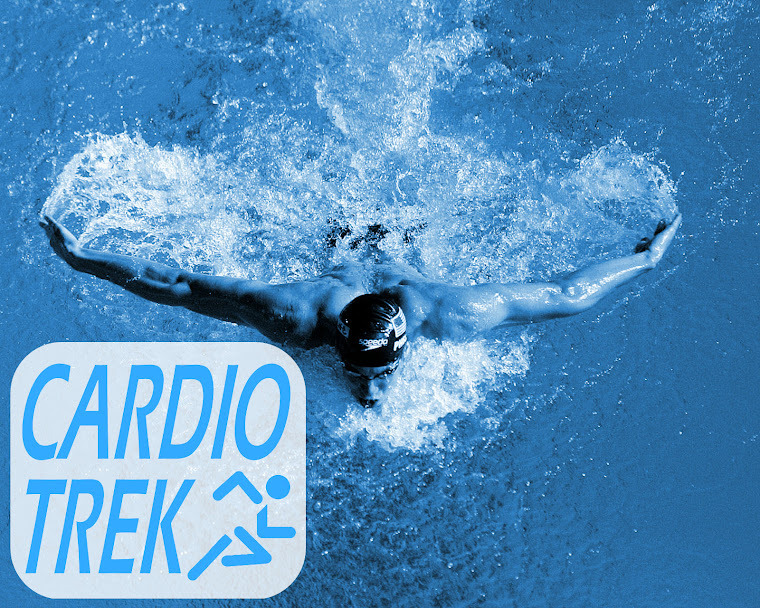 Some less professional and unconventional athletes prefer a quick and easy alternative. Reo Wilde prefers to grab fast food before the tournament and he always relies on McDonalds to be there, wherever he is in the world. 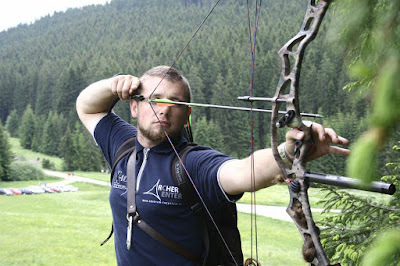 Robert Gate is the founder of Archerytopic.com. He was enthusiastic about hunting from the first shot, from then he decided to become a pro hunter. If you find something helpful in his blog, he would be proud to hear from you. Yesterday (Saturday, June 25th) I took part in an archery competition. 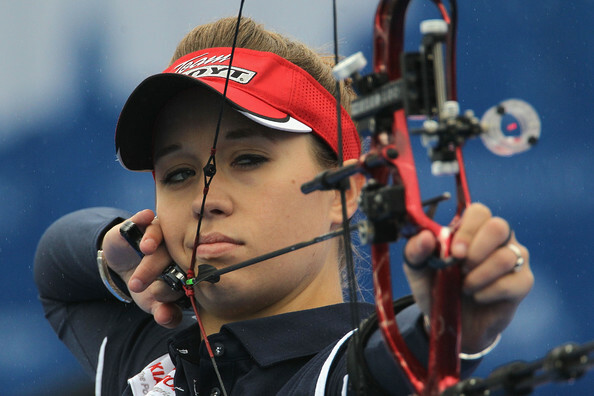 The events in question included three categories of archery: Olympic, Compound and Barebow. 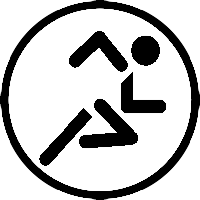 Unfortunately they were short on competitors for the Compound and Olympic categories, and while I don't normally compete in such things, I agreed to take part so that they would have more competitors. 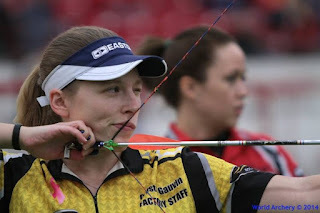 Drawing upon the experience, I have constructed a list of five tips for people looking to take part in archery competitions. Tip #1. Understand the system being used for the particular competition you are in. For example, the competition yesterday involved 3 ranking rounds, 3 shots per round. 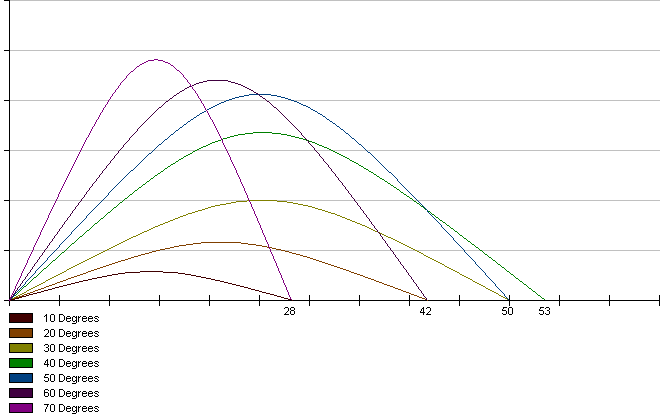 The results from those 9 shots (3 rounds x 3 shots per round) then determined your rank for the duels. The rankings then determined the order of the duels, the highest ranking people facing off initially against the lowest ranking people. The winners of those duels progress to the next level, the losers duel it out to stay in the competition, if they lose round two then they are eliminated. As the duels continue, they eventually reach 4 semi-finalists, who are narrowed down to two people - the finalists. Understanding how the competition system works will give you a better idea of how you are expected to win the competition. A dueling system like above could knock people out of the competition just by having 1 or 2 bad rounds. Round 3 Vs Luis. Green Fletch = My Arrows, Orange Fletch = Luis Arrows. Tip #2. 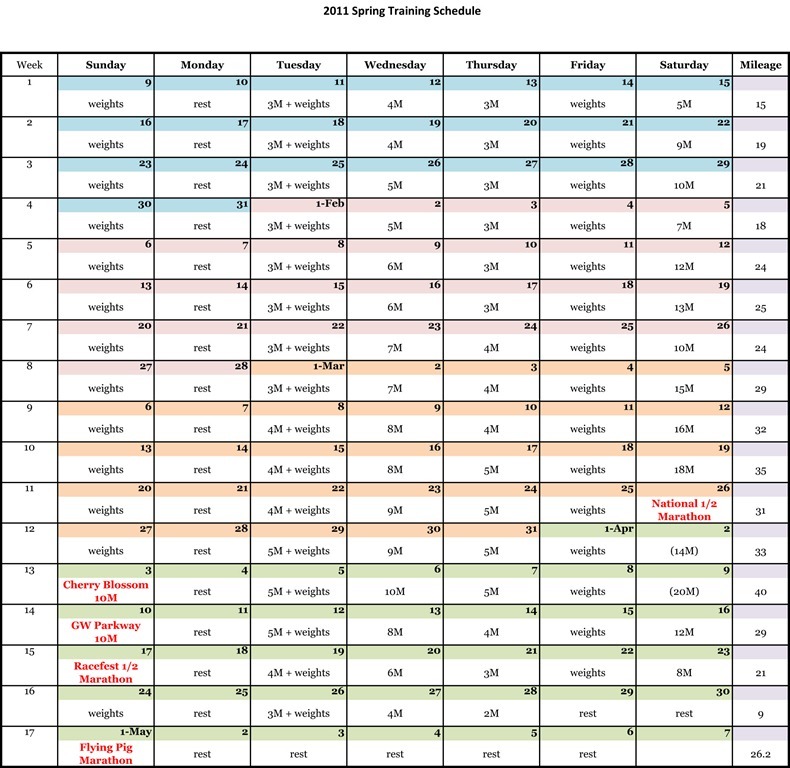 Keep track of everything you did during the rounds of the competition. This isn't just useful for the current competition, but will help you to analyze what you did well and what you did wrong, that way you can use that information for future competitions as well. So for example I know Round 1 vs Randy I took my time and did very well. Round 2, I rushed the shots when I should have took more time. Round 3, I narrowly beat Randy by 1 point by forcing myself to be more patient. Versus Luis, I did okay during the first round, but during round 2 I encountered two problems. The first problem was mental, I had calculated that I needed to improve my score by at least 4 points just to catch up to Luis. This caused me to stress more about my shot and tense up. The second problem was wind, which caused me to stress more. After the first shot did so poorly I felt like I was already defeated and it didn't matter any more. By the second shot, it was clear my score was going to be dismal, thus by the third shot I had basically given up. Round 3 I recouped some of losses and even beat Luis by 1 point, but by then it was too late. Analyzing this after the fact, you realize that what I really did wrong during the first duel was that I rushed the 2nd round when I should have been more patient, I could have got a score in the 20s had I not rushed it. And the second duel was mostly mental, and a dose of patience could have helped versus the second round when the wind was messing with my head. I joined that competition last minute and had only practiced shooting compound once during the previous two weeks. I had hoped to arrive at the competition an hour early to do some "last minute practicing" but ended up arriving about 30 minutes before the event instead. 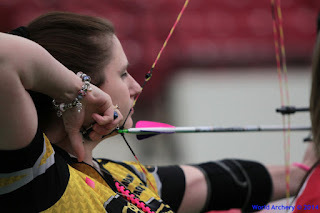 Had I known I was going to be taking part in the competition further in advance, I should have been practicing compound 3 times per week, tuning the bow for more accuracy, and I should have made more of an effort to arrive earlier and give myself ample time to "warm up" before the event. In comparison Luis, the winner, regularly shoots compound and was amply prepared. I divide my practice time between traditional recurve, longbow, Olympic recurve and compound. Thus anyone wishing to do better during a competition should be practicing the archery style in question more regularly so that they will well-practiced and well-tuned before the event. Showing up early to warmup is also handy. Tip #4. Pace what you eat and drink. Having a BBQ on a hot day and cold drinks may sound like a great idea for a party, but for an archery competition you would be better off eating healthier and trying to pace your consumption of both food and liquids. Obviously you want to avoid dehydration on a hot day, but you should also try to avoid over-hydration, eating too much and feeling bloated. Since the competition yesterday was just for fun, it didn't really matter what I ate or drank during the event, but during any serious event people should try to be more cautious about their eating habits. Tip #5. Mentally prepare yourself to prevent competition anxiety. During the 30 minutes that I warmed up before the event I focused mostly on shooting a longer distance, so that when I was shooting at the distance at the shorter competition distance it would feel comparatively easy. I feel this did actually help. 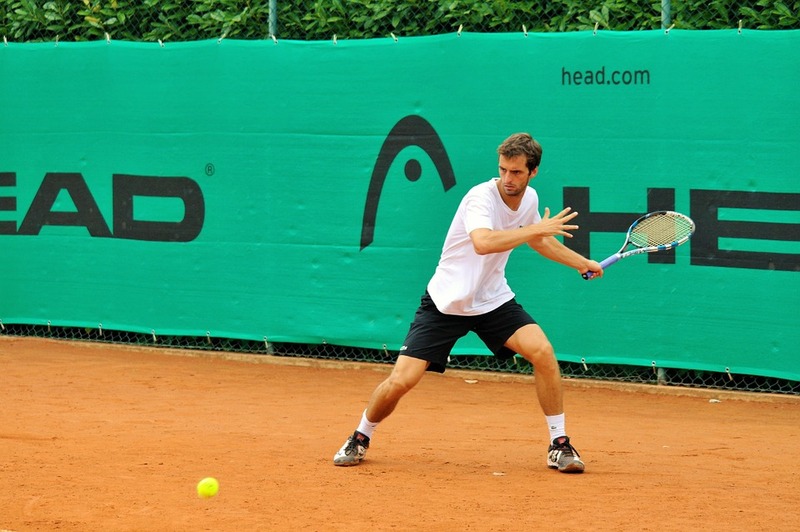 There are other ways to mentally prepare yourself, including regular practice so you feel more confident in your skills. Choose and maintain a positive attitude - basic skill. 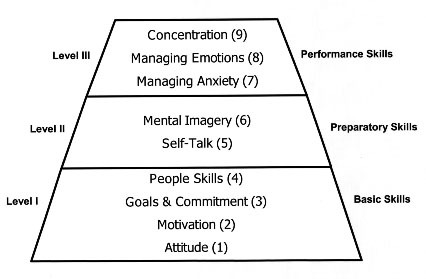 Maintain a high level of self-motivation - basic skill. 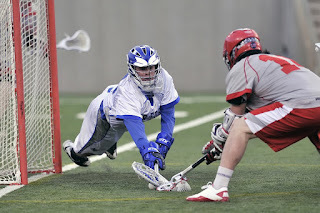 Set high, realistic goals - basic skill. Deal effectively with people using social skills - basic skill. Use positive self-talk - intermediate skill. Use positive mental imagery - intermediate skill. Manage anxiety effectively - advanced skill. Manage their emotions effectively - advanced skill. Maintain concentration - advanced skill. 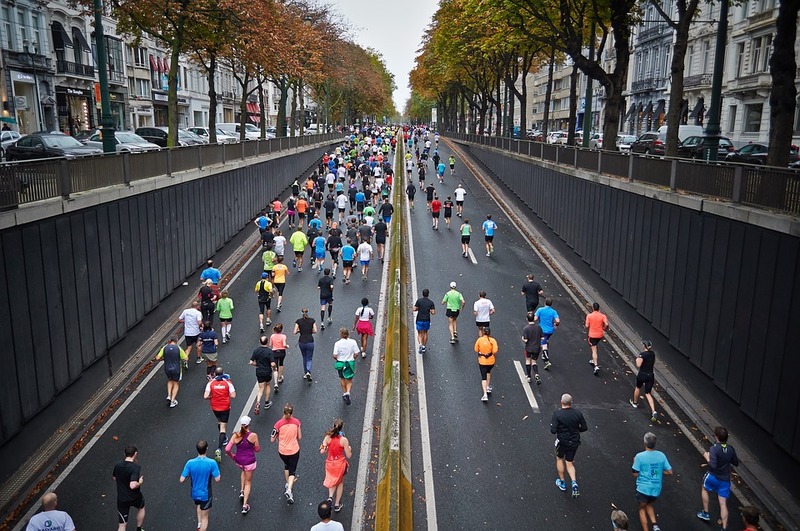 Some of the above mental skills come with taking part in competitions regularly, as experience will allow an athlete to draw upon past experiences with competition anxiety and they will be able to better cope with that anxiety. You will also note that the above skills are useful for other kinds of competitions. Or public speaking. I also won an arrow case as a door prize just for showing up, which was actually the primary reason I took part in the competition. I just wanted the arrow case right from the beginning. I had zero use for a trophy to collect dust. Awhile back a friend on Facebook showed me the following document for a competition he is taking part in. On it the organization has clearly laid out that Stringwalking and Facewalking will not be allowed during the competition and will basically be considered cheating. I will never understand why some people like Stringwalking and making their arrows slower, less accurate and more unstable during flight. Sure it allows them to be lazy about how they aim, but the negatives to their accuracy far outweigh any benefits due to laziness. Stringwalking follows the principle that if the arrow is angle differently by changing the position of the arrow on the string that is will travel at a different speed and thus land in a different spot. Advocates of Stringwalking use it so they can avoid changing their aim so much and instead just change where the arrow is nocked on the string. 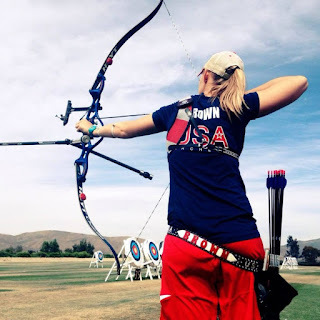 However doing so causes the arrow to be off-center on the bowstring, resulting in top and bottom limbs of the bow doing different amounts of work during the shot - which in turn changes the speed and acceleration of the limbs bouncing back to their non-drawn position. That change of speed hurts the speed, stability and accuracy of the arrow and ultimately results in an inferior shot. Facewalking in contrast at least makes some logical sense and doesn't reduce arrow speed or accuracy. The arrow maintains its level of accuracy during flight, the only thing that has changed is the anchor point drawn to on the face of the archer. eg. A low anchor point for targets further away. 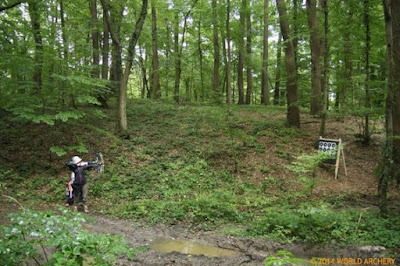 A higher anchor point for targets closer to the archer. The problem with Facewalking is that it involves a lot of guesswork for determining the distance to the target. 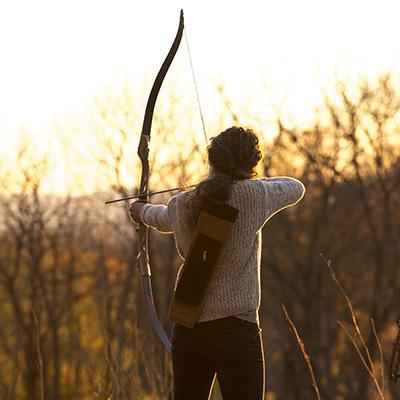 The archer would have to deliberately train and practice doing Facewalking at many different distances in order to get even a semblance of accuracy. As opposed to the traditional method of shooting which is to use the same nock point on the string during every shot, the same anchor spot all the time, and the only thing changing is where you aim based on the distance to the target. 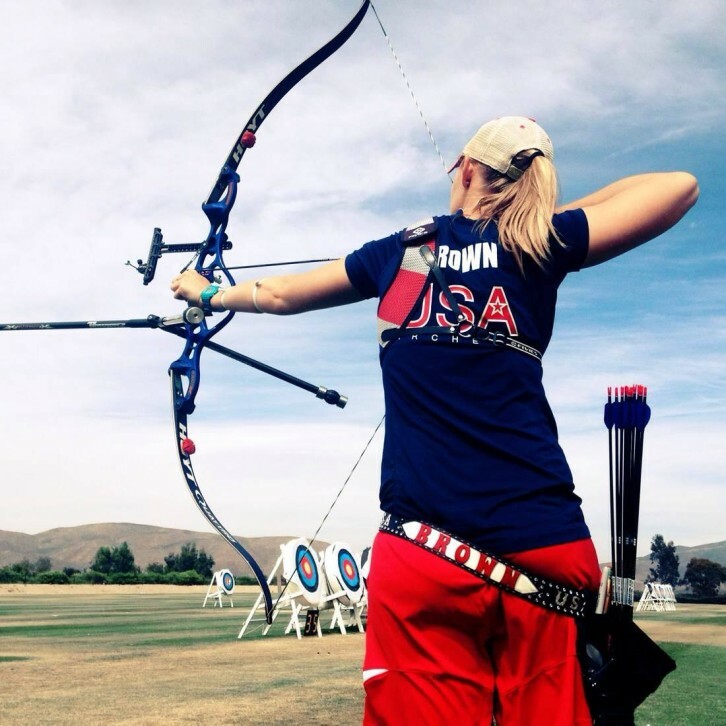 Stringwalking and Facewalking are basically old archers tricks for adjusting their aim, but they are problematic because they are not that accurate, and notoriously frowned upon by veteran archers. They are commonly used these days by amateurs who think, mistakenly, that it will somehow improve their accuracy. Amateurs who haven't yet figured out how to gauge distances and adjust their aim accordingly. Which unfortunately is no good for Facewalkers, because they still haven't learned how to gauge distances and are just guessing at the distance or are relying on being told what the range to the target is. Thus when I saw the above rule for the archery competition above, I laughed. Because they are basically banning inferior methods of adjusting your aim. Stringwalking is notoriously bad for the accuracy and arrow flight, whereas Facewalking is notoriously problematic because it still requires the archer learn how to gauge distances, a skill they have deliberately avoided learning and have wasted their time trying to learn a way to "cheat" that doesn't actually work. As an analogy lets ask what would happen if the Summer Olympics banned sprinters from wearing extra weights on them while sprinting. Extra weight isn't going to help sprinters to go faster. It will make them go slower. It isn't cheating, quite the opposite it is a negative. It would be like golfers not being allowed to hop on one foot while attempting to whack the golf ball with their favourite driver. Hopping on one foot certainly wouldn't be cheating, it would be a severe disadvantage. Or it would be like a professional boxer not being allowed to take 10 sleeping pills before going in to the ring. Chances are likely the boxer will either be knocked unconscious, he or she will likely fall asleep mid-fight when the pills kick in. Now you understand why I find the banning of Stringwalking / Facewalking laughable. 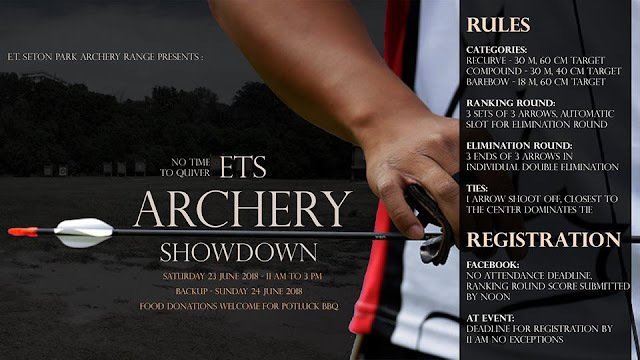 The organizers of the event clearly want to discourage such an amateur method of aiming, not because it is cheating but because they know how notoriously bad those two styles are and instead choosing to discourage those styles in an effort to encourage beginner archers to learn how to gauge distances and adjust their aim the traditional way.